Truck driving puts a lot of stress on the body. Just spending hours behind the wheel can take its toll no matter what type of vehicle you are driving. When you factor in the shifting, steering, clutching, and constant monitoring that is required in a big truck, you have increased risk of neck, back, arm, hip, and leg pain. If they drive a type of truck that requires loading, unloading, or tying down a load, the probability increases even more. Many drivers experience pain, difficulty in mobility, and decreased flexibility. This can impact how well they perform their job as well as how much they enjoy their down time. Drivers spend a lot of time doing just that – driving. That is hard on the body in and of itself. With professional drivers, they do it every day for hours on end. Even local drivers who are home every night put in a lot of miles. 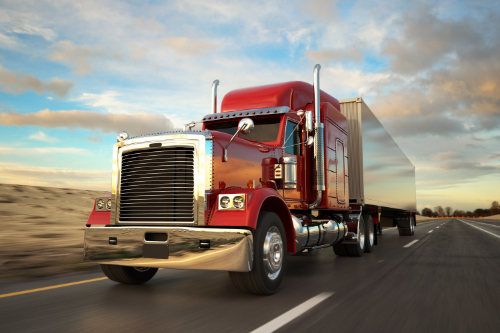 Often, drivers must also perform certain functions regarding what they are hauling. Some have to secure their load with straps and tie-downs, or have to handle heavy hoses and equipment to load and unload tankers. Some drivers have to load and unload (known as “lumping”) their freight themselves. It can involve heavy lifting and repetitive movements. Loaded tanker trucks can be challenging to drive because of the slosh. Most big rigs require a lot of shifting. They may have to shift through 10, 15, or even 18 forward gears. Team drivers have the added stress of being in a vehicle that is constantly in motion. Even while sleeping in the bunk, they can be subject to the constant vibrations and bouncing as the truck travels over the road. This can lead to impact trauma, often to the shoulder as the driver in the sleeper lays on his or her side. Roads that are poorly maintained can cause impact trauma to both the driver and the person in the bunk. For all the physical exertion and exposure to a rough environment, though, drivers get very little exercise. They spend a lot of time sitting behind the wheel and making the same movements over and over. This limited mobility can lead to structural problems like pain in the back, hip, knee, shoulder, arms, and legs. This is compounded by the fact that many prescription medications that are typically prescribed for these issues have side effects that can be dangerous for someone getting behind the wheel. Chiropractic care provides truck drivers with a non-invasive, drug free way to treat injuries, manage conditions, and relieve pain. Regular chiropractic care can help correct postural habits that can expose the body to injury or move the body out of balance and the spine out of alignment. Often, it can identify emerging issues before they become a problem. When a driver first visits a chiropractor’s office, he or she will go through a thorough check up and assessment to determine their needs and goals. The chiropractor may recommend certain lifestyle changes and show them some exercise they can do in the truck or while they are on the road as well as ways to minimize the effects of the activities their job requires. Some of the larger truck stops are now offering drivers access to medical and chiropractic services which allows them to get treatment when they need it. Sometimes a driver is out for several weeks at a time and may not be able to get to their regular chiropractor for an adjustment. However, it is still a good idea to have a regular chiropractor at home and keep regular appointments so you can stay healthy and on the road. This article is copyrighted by Blogging Chiropractors for its Doctor of Chiropractic members and may not be copied or duplicated in any manner including printed or electronic media, regardless of whether for a fee or gratis without the prior written permission of Blogging Chiropractors. What’s the Difference Between Osteopenia and Osteoporosis? What Age Should You Begin Chiropractic? How Safe Is Bottled Water? Can Chiropractic Be Used On My Pets? Sprain vs Strain: What’s the Difference? What Are Dermatomes and Myotomes?